Gemini is not just a nice logo in a bright color. We are offering you the lightest components not just because we have decided to remove material, behind each component, there are a lot of engineering and developing hours, calculating and optimizing every piece, carrying out the manufacturing process with great care and under the highest quality standards; this is why our components are unlike anything you have seen before. The entire design comes from one idea, one concept, and we want our ideas and concepts to open new paths and improve what already exists. Our aim is to take the performance of our designs and material to the extreme, setting aside the way these components have been designed so far, getting to the root of them, improving their functionality and their shape, seeing how it all interacts with our senses and the way it influences us so that we can go faster and enjoy ourselves more when we are riding a bike. For this purpose, we use the most advanced engineering and calculation software, which allows us to optimize our designs to the maximum. In our development phase we include the manufacturing engineering, through which we develop the entire production process, designing and manufacturing all the necessary tools and molds, always seeking the most sustainable solutions that generate less waste and, at the same time, ensure the highest quality. 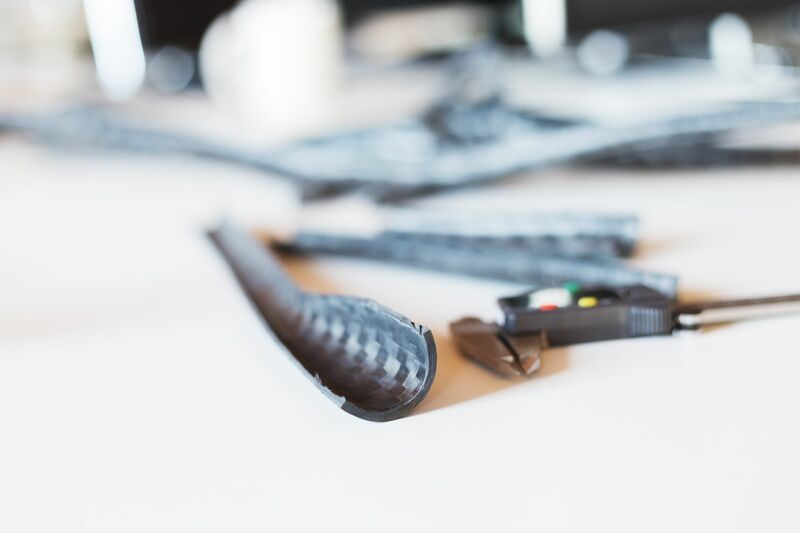 The type of carbon fiber is very important, but the way it is used is crucial to be able to get the best performance of a component. This is why we have created a specific bladder for every handlebar model and length, so the layers can adapt to a completely smooth preform, preventing the formation of wrinkles and resin pools that could cause cracks, and achieving a perfect and homogeneous compaction of the piece. Every layer is the result of optimization calculations to better distribute stresses and improve resistance. 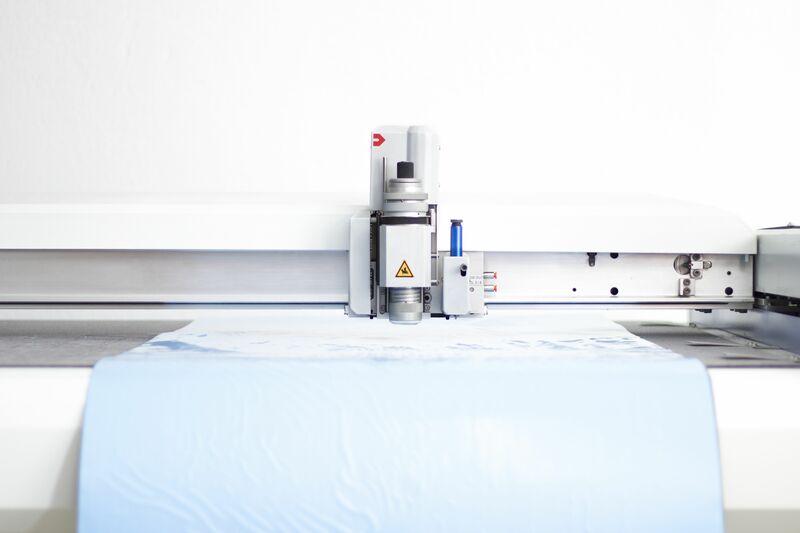 These are cut with a plotter, which allows us to optimize the lay-up creating complex layout profiles to build different laminated structures, strengthening the areas that need it and being able to reduce the final weight. Each layer is laid by hand, creating the structure defined throughout the engineering process. Then, we proceed with the curing of the parts in a laboratory furnace where the temperature curve and the pressure to obtain the best possible mechanical properties of the material are controlled. The entire handlebar development is constantly measured and validated. 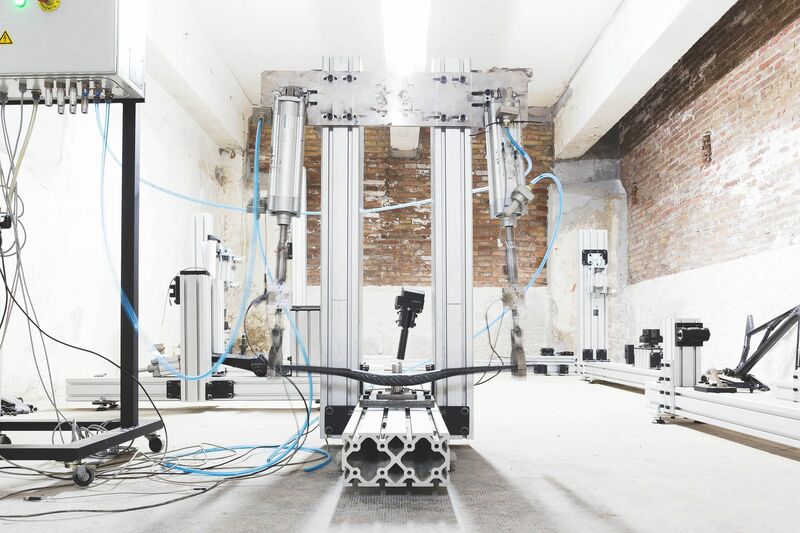 We control the bending, and strictly test every model for fatigue and impact to ensure the final lay-up is highly resistant and performs the way it has been designed for. 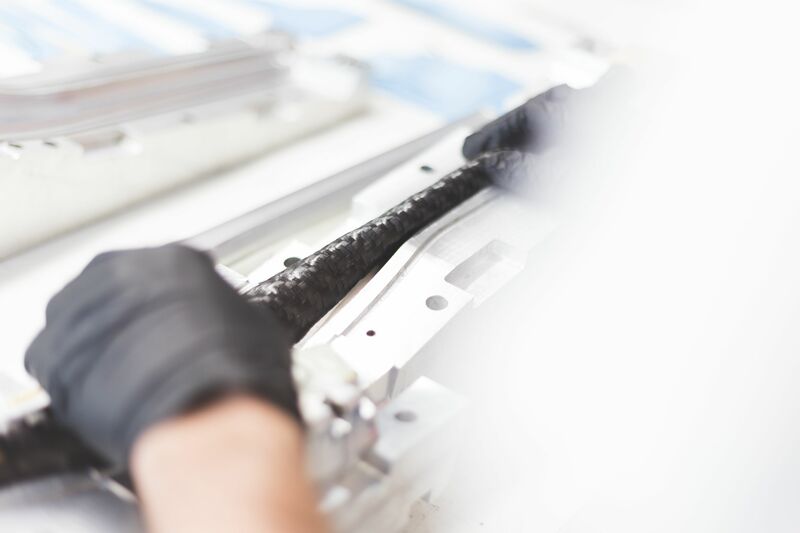 Our handlebars go through resistance tests far superior to those required by ISO 4210-5, passing the most demanding tests of the industry to ensure maximum resistance. Thanks to our manufacturing process, we obtain high quality pieces, each handlebar is tested through low-frequency waves to detect any possible irregularities. Finally, every piece is treated and lacquered for UV protection with a high-resistance ceramic lacquer, which provides protection as well as a spectacular finish.